Thursday I spent a couple of hours hanging out at "the Corner" again. I met new people and visited with old friends. Here's a verbal collage of what I heard. Job talk--as in the one I just got! A beautiful young guy beamed as he described his job driving trucks and as he confessed his miscue with drugs that almost cost him everything. But the job made him beam: "I don't want anything from anyone. I just want to work!" Housing talk--"I want an apartment, then a job," one old friend confided with tears. We're working on it. CitySquare as a trusted resource--several friends talked about the hope they were receiving from our team around issues like housing, employment, faith and simple respect. Faith talk/theology--God is always in the forefront of these encounters. Deep theology meeting very powerful, but simple faith. You have to be present to hear it to appreciate its power, but it's there and it's off the charts! Sunday morning at its best has a long way to go to capture this experience and equipping. We drank hot coffee in the cold wind. We ate boxed meals and rather dry, hard donated pastries. We shared laughs and hugs and stories. There were lots of thanksgiving and smiles and "See ya next week" departures. Good people who have little materially, but who have great wealth in social, spiritual and community terms. We're long overdue on this one. Even though it's a bill we don't want to open, the time has come. The moment has arrived. 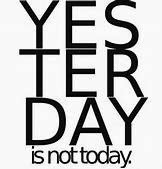 Now is today. Comprehensive immigration reform must be accomplished. 1) Hard-working, honest men, women, youth and families earn pennies on the dollar from countless unscrupulous employers who take advantage of and exploit the uncredentialed status of their undocumented workers. 2) Undocumented workers are in violation of civil law, their coming to the United States is not a criminal matter. They come here for many of the same reasons my family came here. Why is my family considered noble and theirs not? 3) I benefit from the Social Security contributions made by undocumented labor. These workers pay the equivalent of 10% of the Social Security Trust Fund annually--benefits that the undocumented will never be able to claim. 4) Families who came to the U. S. seeking a better life continue to live in fear and do business in an underground economy. 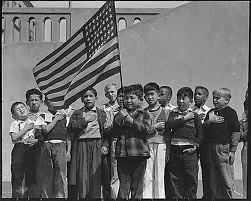 5) The children of the undocumented brought here with no knowledge of or part in the decision to move face grave limitations as they grow older. For example, those who graduate high school and go on to college have no assurance of being able to work when their training is complete. 6) Millions of these wonderful people have been in the country for decades and consider themselves to be exactly who they are: Americans. 7) Reform will mean a dramatic increase in the net worth of those given this just relief. Driving poverty rates down will follow closely on the heels of reform. Last Thursday afternoon, as we shared a cup of coffee, I stood with a young man in the howling, freezing, biting wind. He didn't take a meal, he just wanted a hot cup of coffee. He went on about how good it was of us to come. I responded with the truth, "I'm just here hanging out with good people." As we talked, he thanked me again, saying, "The world needs more people like you, Larry." I replied, "Well, thank you, but I could say the same about you. The world would be better off with more people like you." He hung his head slightly, "I don't know about that. I'm afraid it would be darker than it is." Remarkably, he went on to tell me that he had just left prison and, like about everyone in his situation, was having a tough time finding a job. He told me that he had completed 36 job applications with no job offer coming back to him. Then he said the most startling thing. "You treat us like we're human beings here. That's not true in many places, Larry." Later that evening I enjoyed dinner with a room full of physicians. When it came my time to speak, I told them about my young friend on the corner. I noted that they treat and care for people as a professional pursuit, and that we all remain grateful for their skills and commitment. But I went on to reference my young friend's comment, noting, "The most important thing for us all is to treat people like human beings in everything that we do. The wisdom of "the Corner" continues to amaze, direct and inspire me. Wish he hadn't said that! I remember well the first time I rode a New York City subway train. The scene looked about like this photo. No electronic notebooks of any kind. Just a sea of newspapers attended to by intent, silent, isolated readers apparently lost in worlds of their own as they tried to make sense of the news of the day. Lots of people criticize the new forms of media available to us today. Often we hear that community suffers thanks to the constant availability of information and our connection to it. We're told that Facebook, Twitter, email and the rest compromise our connections to one another. I expect there is some truth in such observations. But, then again, the real challenge remains as to how we use media. We can connect or disconnect. We can decide to engage our fellows via new and amazingly fast forms of media that actually advance the interests of community, or we can turn away into our own worlds defined by isolation of our own making. We've witnessed the youth of the world unite, organize and bring radical change to society and culture very, very quickly. "Poor people" find themselves cut off from many of the advantages of new media, but that is changing, thankfully. Maybe one of the best investments we could make would be to bring everyone into the new and rapidly changing world of digital connection. Before making that first trip to New York City, I recall being coached by veterans to the experience to avoid direct eye contact with people on the streets and in the subway system. I was sort of set up for not connecting. You know what I did, don't you? Martin Luther King, Jr. was a man and a leader who operated with huge, significant ideas. His moral philosophy challenged a nation to change, and change deeply. But throughout his life and career Dr. King matched his amazing thought life with practical, down-to-earth action. He confronted the very real, often long-ignored problems of ordinary people who were living in and facing oppression, unfairness and injustice every day. King didn't let the majority of unknowing, thoughtless Americans stop or deter him from his mission or his concrete action in pursuing it. King died in Memphis, Tennessee because he decided to take action along with hundreds of low-paid, unorganized sanitation workers who simply sought the right to organize and to bargain collectively for higher wages and safer working conditions following the deaths on the job of a number of fellow workers. Martin Luther King, Jr. distinguished himself in many ways. For me, as I think of him today, he was primarily a man of love and action. He showed us the way. May we develop the courage and nurture the faith that he displayed so clearly and effectively. A woman at an old well. . .but could be "the Corner"
Bruce Springsteen's latest gets at much of what we witness, engage and struggle with on a daily basis. Harding College means a lot to me. . .
My memories of Harding College (now University) remain mostly fond. My experience certainly was challenging academically, especially in the History, Theology and English Departments. Harding prepared me well for my graduate school experiences in three other institutions, including Tulane University. While my personal theology and political frames of reference remain quite different from those typically expressed at Harding, I continue to love the school. For sure I received a great liberal arts education at at "the foot hills of the Ozarks" in central Arkansas at Harding University. Though different, I remain very grateful. Take a moment to watch the video message from Harding President Bruce McLarty. For over a decade now, CitySquare's Transition Resource Action Center (TRAC) has served and worked alongside thousands of young people who "age out" of the foster care system in a 19-county Child Protective Services region in northeast Texas. TRAC's mission is to assist these special youth as they take the next necessary steps on the way to living as productive, confident adults. This part of our work is very challenging because of what these young people have been through before we meet them. National statistics inform us that many end up on the streets or in prison. Hard, important, challenging work is accomplished by our TRAC team. I just got off the phone with Jimmy. Jimmy was a TRAC youth several years ago. I met him a few times but know him mostly from reading the notes from Liz, his coach. Jimmy called to ask my permission to use TRAC in his autobiography, which he is currently writing. I told him that he had the right to say whatever about us he wanted… and that I appreciated him asking. I asked Jimmy how he was doing…he lives in Denton, was adopted as adult by a former foster family and is 14 hours away from a Bachelor’s degree in Public Policy and Government Affairs. Jimmy is a success thanks to YOU. Though you probably don’t know him…and may not have worked with him…you help youth like him every day. Funny thing: he often fell off the radar, didn’t return calls and seemed disinterested. He was fickle when he was a TRAC youth and might have been one that we assume wasn’t benefitting from the help. He tells a different story. You all have success stories out there…they just don’t call in and tell us. He was stunned that I remembered who he was…that I remembered who his coach was…many of our youth assume that we forget about them and move on. But they are out there…they are making it…and it is because of the work YOU do. Thank you. On behalf of Jimmy and youth just like him, thank you! Good news on CitySquare pharmacy! Our clinic pharmacy had a surprise visit yesterday from the Texas State Board of Pharmacy. The state inspector showed up at about 10a. m.– completely unannounced. These visits are anticipated but it is always nerve-racking when they actually happen. For a historical perspective: we were officially inspected by the State Board of Pharmacy about 6-7 years ago. Congratulations are in order – they passed us with flying colors! I am so proud and pleased to report that we received 0– repeat zero –actionable items for the future. This is wonderful news. WAY TO GO CITYSQUARE CLINIC PHARMACY! Very special thanks to: Crystal Maturino, POR pharmacy assistant, and Oneyda de la O, LVN, for doing everything right–i.e. greeting the inspector, checking his credentials, contacting our Pharmacist (Carlos Alvarez) and answering all his questions prior to Carlos arriving and retrieving all requested information during the survey. Sincere thanks to both of you. Carlos– thank you so much for ensuring our success with this inspection. Without your counsel and oversight we would not be where we are today. We appreciate you. 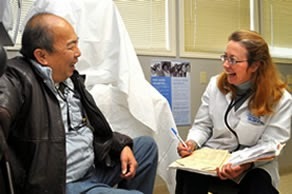 Carlos told me that it is not unusual for pharmacies to receive 1 or 2 items that require a written action plan. We received no action items. Wow! Outstanding. I know you will all echo my sentiments to this great team for all their hard work and dedication in the CitySquare pharmacy! Congratulations to clinic team! Mayor Mike. . .a great leader! 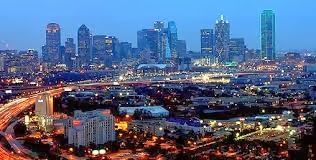 Mayor 2014 from City of Dallas on Vimeo. 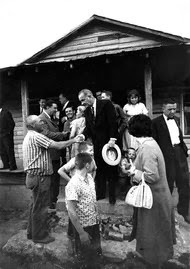 Fifty years ago President Lyndon B. Johnson declared a "war on poverty" as a key component of his Great Society strategy. Johnson was a poor Texas boy who understood poverty. He emerged as the most powerful arm-twister in the Congress! His results on poverty were actually impressive, if you look at the numbers (efforts drove national poverty rate down 19% in the very short-lived effort thanks to the waste and escalation of the Vietnam conflict). Naturally, lots of people are remembering, analyzing and commenting on Johnson's approach to poverty, both pro and con, at the anniversary (for a good example that gets at the complexities of poverty read here). The discussion is also in large measure due to the fact that the U. S. continues to struggle with the challenge of poverty in a land of amazing wealth. 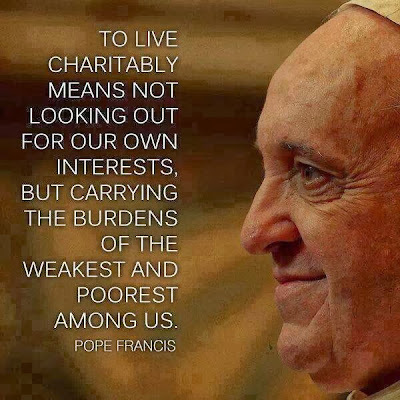 So, what steps could be taken to wage a war on poverty, 21st century style? 1) Make universal national service a requirement for every U. S. young person before the age of 24. Deploy these young people in community service focusing on health improvement, education, public works, gerontology, nutrition and community development, among other possible disciplines. Pay a sliding scale stipend with housing plan and educational credit upon completion of 2-year tour. 2) Raise the minimum wage to livable range for everyone who works: $13-15 an hour. Such a move would virtually guarantee that all who worked would escape poverty. 3) Regulate hourly work week practices of American corporations so that part-time job options were no longer forced on American workers simply to ensure that benefit packages were reduced or eliminated. Reward companies that evidenced a commitment to fair work plans for their employees and penalize those who did not..
4) Re-energize urban and rural school districts by offering state-of-the-art trade school training to students seeking such trades labor options. 5) Fully fund and adequately promote the Earned Income Tax Credit program. 6) Fully fund and adequately promote the child credit deduction. 7) Provide pre-K and kindergarten for all American children. 8) Reform/restore funding for Pell grants and other programs that make it possible for all U. S. students who desire it to attend colleges. Incentivize universities that accommodate low-income students and that provide creative options for low-income students. 9) Create national strategies to "bring jobs back to the U. S." Reward U. S. companies who actually return jobs to the U. S. using tax credits and other rewards. 10) Create federal "investment zones" in pulverized urban and rural areas of the U. S., like Detroit. Reward companies who relocate to and invest in such communities. 11) Make the reduction of poverty a genuine national priority. 12) Require every faith community in the U. S. to "adopt" and provide whatever is needed for at least one (1) homeless person continually in order to maintain a tax exempt status. For years I've considered the cover selection policy for TIME magazine fascinating, and a barometer of U. S. culture and values. 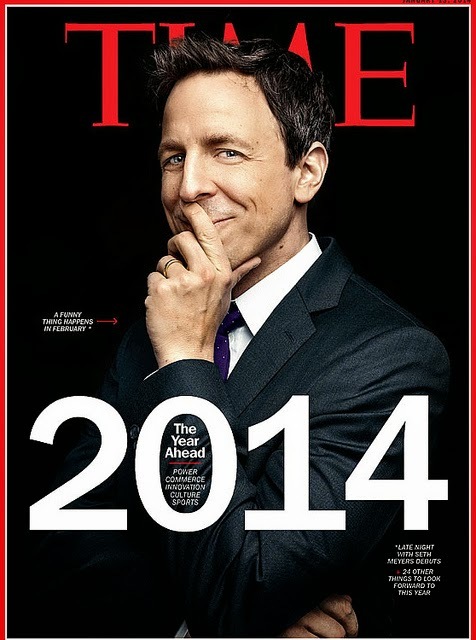 That said, the contrast between TIME's first domestic cover of 2014 compared to its "world" cover feels unsettling. Just possibly in the contrast we find an indicator of the depth of our national frivolity in view of our very real and largely unaddressed issues/challenges. Take a look here and then let me know what you think? I met Wendy on "the Corner" over a year ago. At the time, she "lived" in the old, abandoned house behind the Merandino brothers service station at Louise and Malcolm X Boulevard. For several months I tried to engage her in conversation, but she was extremely non-responsive. She avoided me no matter what I did. On more than one occasion, I observed her talking to herself--later I realized that she was discussing how to deal with me and what to make of my presence, my bottled water, and my afternoon snacks. My preliminary judgment was that she was dealing with some sort of fairly severe mental illness and/or possibly alcohol or substance abuse. As the months wore on, Wendy became more and more approachable. I finally figured out that Wendy wasn't severely mentally ill at all, and she wasn't addicted to anything, except food and laundry money, neither of which she had as often as needed! She appeared to be alone on the streets (hold onto this idea and keep reading!). Estranged from her mother and family, she had some fairly deeply rooted "trust issues" when it came to people, especially men. She resisted shelters, mainly because submitting to their rules and routine would have meant surrendering the last vestige of dignity and self-respect that remained in her life. She was grateful for the place to sleep, even though it had no benefit of functioning utilities. At least, on most nights, she was sheltered, dry and protected from the harshest parts of street life. To be frank, my connection to Wendy opened up for the first time after I overheard her ask a guy on the street if she could "borrow" a cigarette. After hearing the request, I walked over to the service station and purchased a pack of Kools. When I handed them to Wendy, I thought she was going to faint. The fact that I gave her what she asked for without conditions or judgment seemed to blow her away, especially coming from me. As I got better acquainted with her, I began to provide small gifts of cash and food to help her survive. She can stretch $20 farther than anyone I think I've ever met. Wendy now has an apartment very near my house in Old East Dallas. She's off "the Corner." Well, sort of. On most Thursdays, when I go to "the Corner," I see Wendy. In talking with her about her new home, she always makes it clear to me that she comes back to her old neighborhood because that is where her friends remain. I've experienced this time and again. Homeless persons who work out housing, often simply cannot just walk away from their friends no matter how good their personal fortunes may have turned. Community trumps personal progress on the streets. I'm glad I know her. I expect we'll see even more of her once CitySquare's new Opportunity Center opens later this year. Comprehensive immigration reform so that thousands of my neighbors can receive documentation needed to remain in the US "legally"
Spend some time on Google with "personal mantra" and see what turns up for you. Apparently, mission statements, at both personal and corporate levels, are becoming passé. Something to do with length, actual utility and impact. The new move is toward the shorter, more focused and memorable personal or corporate mantra--one to four word commitments that shape life, value and action consistently. One way to understand this notion is to consider how work and life are not only ordered, but what is the fundamental value proposition relative to how daily life and work roll out. What is the fundamental commitment of my organization? What about my own life, day by day? The video below gets at the organizational mantra. I think you'll find it challenging. But, on a personal basis, what is the one indispensable commitment, truth, action or goal that I bring to every day and to every situation and encounter inside every day, no matter where I am, who I am with or what I am doing? Here's mine: Listen carefully. Listen constantly. Again in 2014, I'll attempt to post something sensible on an almost daily basis. Confession: I do this mainly for my own benefit. I try to read as widely as I have the time on a daily basis. Admittedly, much of what I read connects to my work and concerns related to poverty, economics, neighborhood revitalization and life in hard, inner city neighborhoods and communities here in Dallas and across the nation. There is something about the plan, the need, the compulsion to write daily that keeps me focused and as "on track" as I can remain. I find that when I fail to write, I feel scattered, dislocated and without clarity or discipline. So, I write to work and to stay at thoughts having to do with life and poverty and faith and labor and children and homeless friends and family. Those who stop here often know a good deal about my grandchildren. They are pure treasure to me--each in his or her own way. Getting to watch these four amazing people is the most satisfying, thrilling experience. Again and again, I'm made to stop and laugh, wonder, cry, rejoice and celebrate their lives. Somehow, Gracie, Wyatt, Owen and Henry point me clearly toward my purpose. Somehow, they provide balance, strength and courage for my life. So, expect to learn more about them in 2014! Now, enough of the personal stuff. Bring on 2014! And, agree or disagree, please know that your comments make this page much more helpful than it could ever be without them. I'll look for you here. R.I.P. and Happy Birthday, Mom. You'll never be forgotten.